Vyacheslav Vsevolodovich Vlasov – 60th birthday. At the celebrations on the occasion of the anniversary, academician V.V. Representatives of the Academy of Sciences and the Ministry of Agriculture of the Republic of Moldova, scientists of the research institutes of Ukraine took part in the meeting with representatives of the authorities (Odesa Oblast State Administration, Odessa Regional Council), Consul General of the Republic of Belarus, representatives of the Ukrainian Orthodox Church, representatives of the NAAN leadership and academicians of the National Academy of Sciences of Ukraine, and Moldova, the leadership of the universities of Odessa and the White Church, representatives of large agribusiness in the field of viticulture and winemaking, the press. For the great contribution to the development of Ukrainian viticulture, Academician V.V. Vlasov was awarded the medal of the name of V.E. Tairova; multifaceted social activity of Academician V.V. Vlasov was awarded the Order of the Ukrainian Orthodox Church of the Holy Equal-to-the-Apostles Prince Vladimir II degree. Academician V.V. Vlasov is a well-known scientist in the field of viticulture and winemaking. Its name is related to the formation of an important scientific direction in viticulture in Ukraine – the ampeloecological assessment of the territories on the basis of revealing the laws and features of the spatial distribution of a complex of environmental factors for the purpose of their suitability for growing various grape varieties. In his person and under his guidance, scientific research was aimed at the comprehensive multidimensional ampeloecological zoning of the Northern Black Sea Region (Odesa, Mykolaiv and Kherson regions) with the aim of optimizing the location of grape plantations. Born V.V. Vlasov, October 4, 1957 in the Kursk region (Russian Federation). In 1976 he graduated with honors from Kalinovsky Agricultural College in the field of Agronomy, in 1981 – Chisinau State University, specializing in Soil Science and Agrochemistry. From 1981-1990 he worked at the Moldvinsadproekt project institute (Chisinau, Republic of Moldova) – first as an engineer, and subsequently as chief specialist. Since 1990 – the chief specialist of the agricultural enterprise for the agroindustrial complex Agrosintekssad (Odesa), and from 1992 to 1995 – an agronomist, and later the deputy director of the gardening industry of the Cherkasy region. During 1995-2001 he was headed by the state enterprise “Experimental farm” Tairovske “of the V.Ye. Tairov Institute of Viticulture and Winemaking NAAS of Ukraine. Since October 2001, Vyacheslav Vsevolodovich has moved to work in the field of agrarian science. Long production experience, great organizational skills, perseverance in achieving the goal served as the basis for appointing him as the director of the famous Institute. V.E. 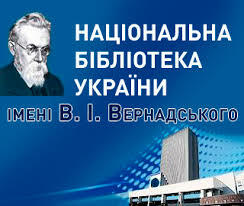 Tairov Under his leadership, the Decree of the President of Ukraine of November 21, 2003, the Institute received the status of the National Science Center for its significant achievements in integrated scientific research. In 2003 V.V. Vlasov defended his Ph.D. thesis on the topic: “Agri-ecological substantiation of the location of grape plantations in the Northern Black Sea region (on the example of the Ovidiopolskiy district of the Odessa region)”, and in 2009 – a doctoral dissertation on the topic “Ecological bases of formation of ampeloland landscapes”. Under the guidance and with the direct participation of V.V. Vlasov carried out a large-scale work “Creation of a vineyard cadastre of Ukraine taking into account ampeloecological conditions”; A program for the production of certified seed material of grapes for the period until 2025 has been developed. At its initiative, the Branch program for the development of viticulture of Ukraine for the period till 2025 (in 2008) and the regional program of development “Viticulture and winemaking of Odessa for the period of 2013-2025” (in 2013) was developed and approved. Regional programs for the development of viticulture and winemaking in the Kherson, Mykolayiv, Zakarpattia and Zaporizhzhya regions for the period up to 2025 (in 2016) were developed. Significant scientific and practical development of the staff of the National Scientific Centre «V.Ye. 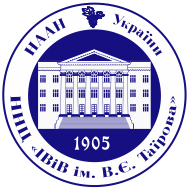 Tairov Institute of Viticulture and Winemaking» NAAS of Ukraine led by V.V. 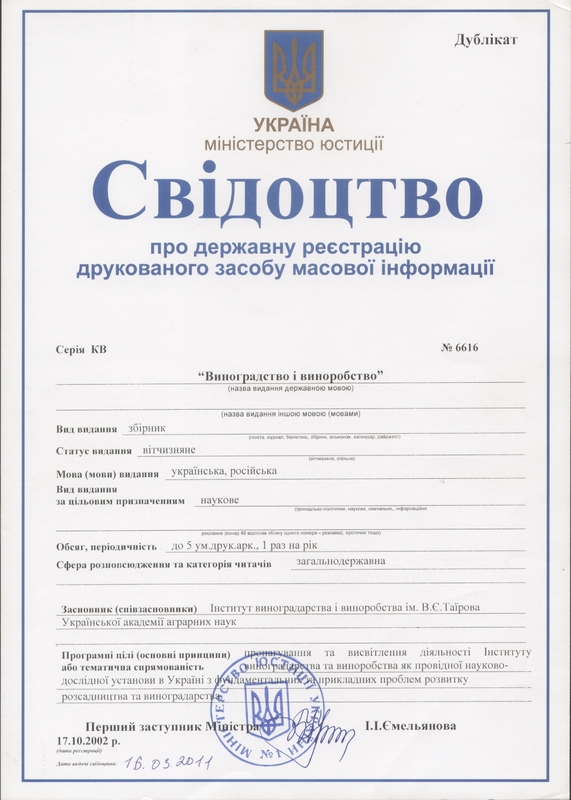 Vlasov became the “System of Certified Grape Seedlings of Ukraine”, which in 2015 was awarded the State Prize of Ukraine in the field of science and technology. This is the first in the history of the NSC “IViV them. V.E. Tairov, “a reward of such a high level, worthy of many years of work of scientists – breeders, geneticists, specialists in the field of cloning selection, biotechnologists, molecular geneticists and experts in grape seedlings. On the initiative of V.V. Vlasov were accredited according to international standards ISO 17025 (in 2011) of the Institute’s analytical laboratories, which cover the definition of the quality of products from the parameters of the quality of wine to the establishment of GMO content in agricultural products. Results of scientific researches and practical recommendations of the scientist are covered in almost 400 scientific works, including 9 monographs, 2 textbooks and 32 patents of Ukraine. At the same time, he is the chairman of the editorial board of the interagency thematic scientific collection “Viticulture and winemaking”, a member of the editorial board and colleges of many domestic and foreign special editions. Scientific-organizational activity VV Vlasova is associated with active participation in the training of graduates of higher qualification through postgraduate studies. Under his leadership, 3 postgraduate students prepared and defended PhD theses. They formed a scientific school on ampelocheology, which has 2 doctors and 4 candidates of sciences and 3 postgraduate students. Academician V.V. Vlasov from 2006 is the head of the Scientific Research Program of the NAAS “Viticulture” (from 2016 – “Viticulture and winemaking”), since 2012 – the head of the specialized scientific council for the protection of master’s theses at the NSC “IViV them. V.E. Tairov “and a member of the agricultural section of the Committee on State Prizes of Ukraine in the field of science and technology, from 2013 – a member of the Presidium of the National Academy of Agrarian Sciences of Ukraine. Fruitful scientific, organizational and public activity V.V. Vlasov was awarded the Order of Merit of the III degree, anniversary medals “10 years of independence of Ukraine”, “20 years of independence of Ukraine”, the Gratitude of the President of Ukraine, the Honorary Diploma of the Verkhovna Rada of Ukraine, the Work Sign “Badge of Honor” of the Ministry of Agrarian Policy of Ukraine, Honored Degrees of NAAS , Odessa Oblast State Administration, Odessa Regional Council, city mayor and others. Vyacheslav Vsevolodovich is characterized by high professionalism, ability to see the acuteness and perspective of problems, find their optimal solution, and high principles in advocating scientific views. He is characterized by extreme demanding and responsible for the work done, sincerity in dealing with colleagues. Today the staff of the Institute, headed by V.V. Vlasov continues to multiply the glorious traditions of his predecessors, proudly bears the name of a great wine-growing scientist, organizer and promoter of the science of grapes and wine Vasily Egorovich Tairov, and also solves current problems of the industry. Sincerely congratulating Vyacheslav Vsevolodovich on his glorious jubilee, together with colleagues and friends, students and followers, we wish happiness, well-being, further success in any endeavors, everyday affairs, daring plans and aspirations. Let your plans always be wisdom, in business – support of like-minded people, in the heart – well and sunny from human gratitude! May your life and professional path be filled with new ups and downs, and all the goodness done by you returns a hundredfold! Good for you health, a widespread lifestyle and fruitful work. Let your inexhaustible energy recharge the not-so-desired wine-making and winemaking industry, and high professionalism and productivity will create a confident prospect of prosperity. and let God bless all of your further life.